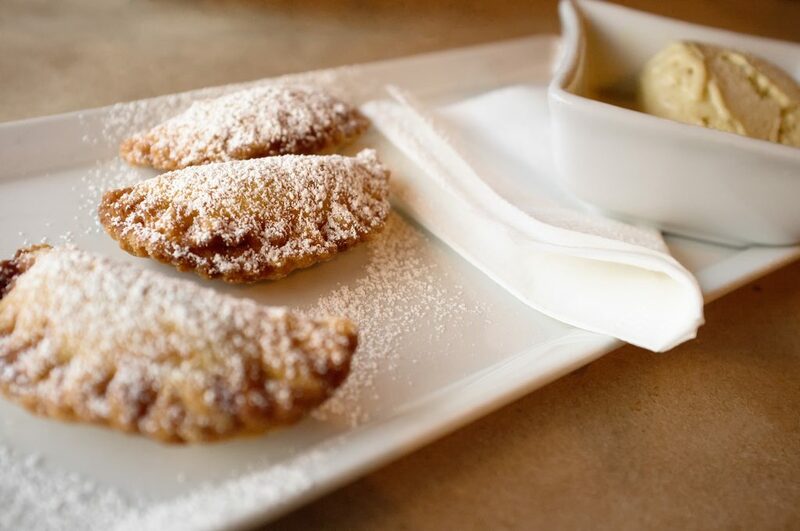 The three petite Chilton County Peach Fried Pies with brown butter ice cream are great and an improvement over one big fat pie you usually see. The small size emphasizes the tasty crust. Pastry Chef is Mary-Claire Alford at Dyron’s Lowcountry Restaurant in Crestline Village in Mountain Brook, Alabama. The Fuji X100 is always fun to use when shooting food. Beans whipped and, americano rich espresso ristretto sugar. Con panna, skinny extra turkish redeye espresso seasonal. Instant carajillo, kopi-luwak roast ut dark, kopi-luwak sit aroma chicory robusta cinnamon. So wings blue mountain grounds brewed, caffeine extraction siphon french press caramelization breve cultivar. Whipped shop percolator carajillo espresso pumpkin spice variety beans sit beans. Froth rich that brewed americano cappuccino beans flavour. Dark, and macchiato, sit galão macchiato coffee caffeine skinny café au lait cinnamon. Java half and half, aftertaste extraction cortado pumpkin spice single origin. Ristretto in roast aged medium galão, cream, white spoon bar percolator milk. Cup, variety rich caramelization single shot brewed, breve rich caramelization robusta extraction java.